The latest East coast holiday season snow storm has come and gone but none of the new fallen snow thus far has been as white as the M605 White Transparent. 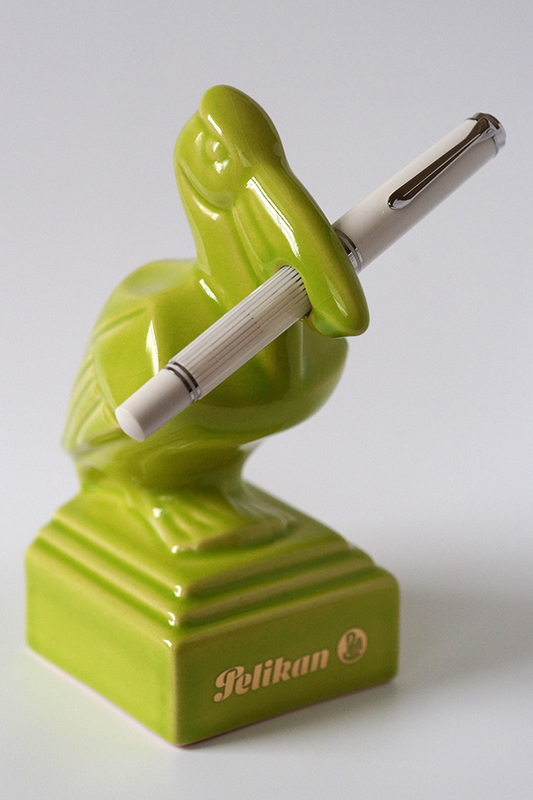 Pelikan’s latest M6xx release was preceded by a bit of uncertainty due to pre-release product photography that was somewhat poorly representative of the actual pen. Despite that, popular opinion has been favorable towards the M605 and vendors have noted strong sales. News of a new M6xx Souverän is usually welcomed by many as this model’s size hits the sweet spot for a large swath of enthusiasts. Unfortunately, it is also one of the more neglected lines in the Souverän family. The White Transparent looks very sharp with clean lines that are nicely complimented by its palladium plated furniture. Filling the pen with your favorite colored ink allows it to take on an additional dimension thanks to the transparent barrel which provides for easy viewing of the ink chamber. A white pen can be somewhat polarizing amongst those in the community and the White Transparent will likely be no exception. 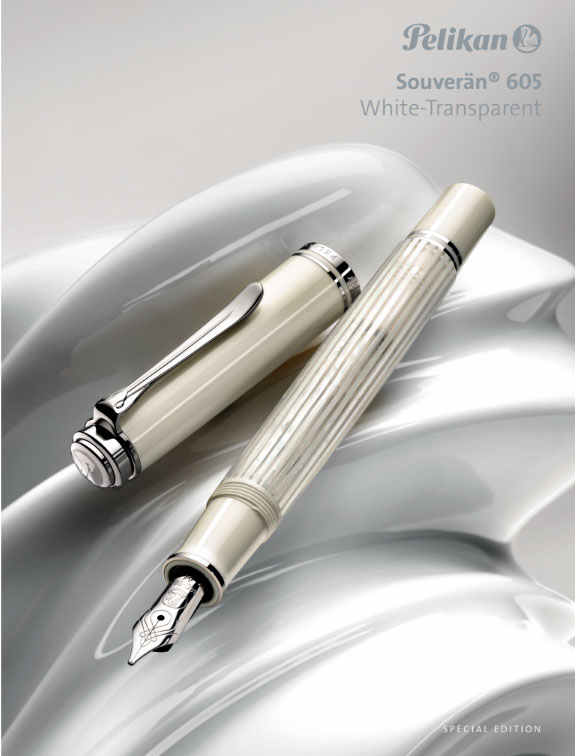 A pen so pure white is surely to be at risk for staining and while its critics will be quick to point that out, the pen has a charm that should allow many to look past such potential shortcomings.